Wai’ anae Coast Comprehensive Health Center (Wai’ anae, HI). Project Overview: The goal of the Ho‘opulapula project at the Wai’ anae Coast Comprehensive Health Center (WCCHC) is to develop and expand a community-designed training program for Leeward Coast residents and WCCHC employees that identifies and addresses unique skills expected of a well-rounded and dynamic WCCHC employee and that embodies the philosophy of growing our own healers”. Objective 1: Increase access to cross-training and professional development opportunities for WCCHC employees. Objective 2: Provide a community based externship centered on the Hawaiian Health Care Home model for vocational trainees that develops a competitive recruitment pool of qualified entry-level applicants. Objective 3: Increase opportunities for veterans to receive certificate training in Health Care vocations. Identification of specific work skills in Information Technology that will improve work department and clinic efficiency and service quality. Development of a curriculum and skills checklist to address the identified skills gaps and develops IT Kulana Po’okela (super-users) through inter-department cross training. Development and implementation of a Medical Reimbursement Specialist internship component through and exclusive partnership with Leeward Community College. Implementation of Wai`anae Health Academy’s program offering of the Medical Reimbursement program. Provide academic case management and career counseling services for all cross- training and internship participants. 64 WCCHC employees successfully completed the RCHN KP trainings; 13 IT department staff enrolled and successfully completed the HITPro Certification course, 54 participated in Microsoft Academy(2007), 24 participated in Trouble Shooting. Partnership was developed between HPP with the University of Hawaii (UH)-Leeward Community College Waianae (LCC-W), Office of Continuing Education and Workforce Development (OCEWD) to create an externship component to the Medical Reimbursement Specialist program (MRS,) enhancing the goal of a Health Career Training Pipeline at WCCHC. 8-week Medical Reimbursement Specialist (MRS) program at the Waianae Health Academy completed by 13 participants, including specifically recruited 5 veterans from the community . Email Etiquette; Infusing Cultural Concepts: Cultural competencies Film screening. Academic case management and career counseling services were offered by an assigned Education Specialist to every HPP participant. Hawaii Community Assets (HCA) – http://hawaiiancommunity.net/erings and future grant funding potential. The Wai’anae Coast Comprehensive Health Center serves the medically underserved community of Wai’anae and surrounding communities in the Leeward and Central regions of the island of Oahu. Serving the community since 1972 when it started as a one-doctor office, the WCCHC is the largest, and oldest, of the fourteen community health centers in the state of Hawaii. In 2010, the center served 28,912 patients, the majority being Native Hawaiian (52%), followed by Asian and other Pacific Islanders (27%), and Caucasians (16%). Data shows that 67% of patients are at 100% of the federal poverty level or below, 13% are uninsured, and 55% are receiving coverage under QUEST, the state Medicaid program. The vision of the founders of the health center — to offer comprehensive health services — has guided the development of services and activities provided today, which include: Adult Day Care, Case Management, Chronic Disease Management, Emergency Room Services (24 hours, 365 days/year), Exercise and Fitness Training & Walking Trails, Family Planning, Health Education, Health Career Training, Health Emergency Liaison Program, Homeless Outreach, Integrated Healing (Weight Management, Pain Management, etc. 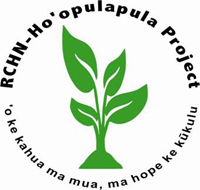 ), Laboratory, Mental Health Treatment, Native Hawaiian Healing (Lomilomi, Ho’oponopono, La’au Lapa’au, Pale Keiki, and Ha Ha), Nutrition Counseling, Patient Services, Pharmacy, Primary Care Clinics (Family Medicine, Internal Medicine, Pediatrics, Women’s Health), Radiology, Mammography, Bone Density Screening, Specialists (General Surgery, Ophthalmology, Obstetrics and Gynecology, Orthopedics, Perinatology, Podiatry, Psychiatry, Psychology, Dermatology, and Chronic Pain Management), Substance Abuse Treatment, Women, Infant, and Children Program (WIC). The Wai’anae Coast Comprehensive Health Center is a learning center that offers health career training to ensure a better future for the community, and it is a major economic provider in the community, employing 455 individuals, the majority of whom reside on the Wai’anae Coast.